Cromwell Funds Management Limited has taken advantage of the strong Melbourne property market and negotiated an unconditional contract to sell the smallest of the Cromwell Property Trust 12 assets for $30.75 million. The sale price agreed upon for the South Melbourne asset reflects a premium of 10.7% to the last independent valuation and a 20.4% increase on the purchase price of $25.54 million in August 2013. Cromwell Director Funds Management Michael Blake said the disposal was consistent with Cromwell’s philosophy of active portfolio management, where capital is re-allocated to maximise risk-weighted returns. 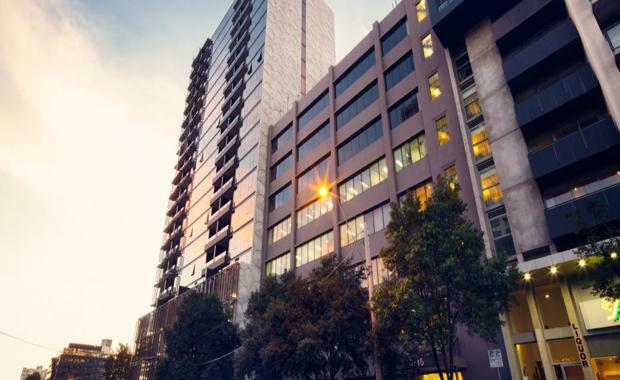 “The South Melbourne asset is home to Dimension Data whose lease over 100 per cent of the building is scheduled to expire in August 2019, which is before the Trust’s scheduled maturity in October 2020,” Mr Blake said. As a result of the sale, which is due to settle on 19 August 2015, unitholders will receive a one-off special distribution of 4.5 cents per unit in the 30 June 2015 distribution, to be paid on 10 July 2015. This increases the distributions recorded in the current financial year from 7.75 cents per unit to 12.25 cents per unit. The Cromwell Property Trust 12 is a ‘back to basics’ unlisted property trust which was underpinned by three properties when it was launched in October 2013.
a commercial office building currently under construction at Dandenong in Victoria, which is 92% pre-committed to the Australian Taxation Office for 15 years from Practical Completion (expected to occur in September 2015).